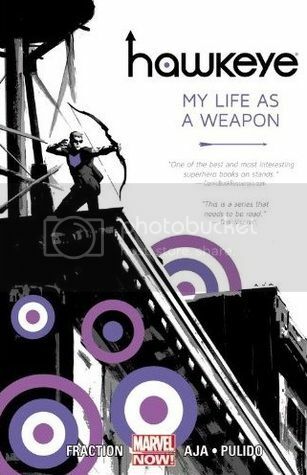 The hype for Matt Fraction and David Aja’s Hawkeye is completely accurate. I loved this series. Seeing what Clint Barton does on his off days is fabulous to read. I wanted Jane to kill kill killllllll. The Wicked + The Divine always leave me thinking and contemplating. The 1831 issue is no different. It made me think a lot about romanticism and which poets/writers are what gods, Mary Shelley, storytelling, monsters, and so on. 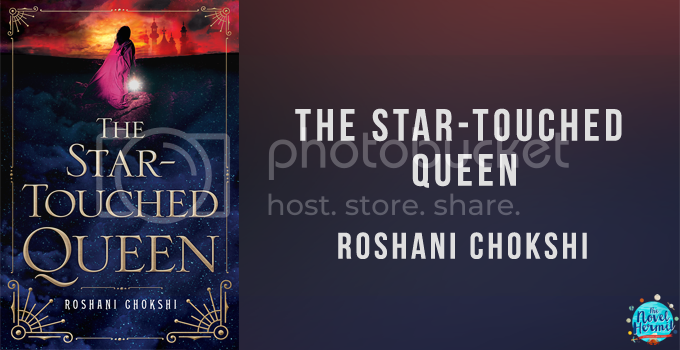 EVERYTHING FROM THE STAR-TOUCHED QUEEN. EVERY WORD IS MAGICAL. Wink Poppy Midnight had be completely like ???? My jaw fell open as I read this because the things that happened in this weird book, oh god. I still don’t know how to feel about it, ha. I actually didn’t have one this year. On the recommendation of Crini, I decided to give Sleeping Giants a try, and oh boy, crazy things go on in that book. “You get a girl who experiences sadness (that’s depicted so perfectly!) and tries to express it through her writing; a magical forest kingdom called Everwood; friendships that make you trust and do things you never thought you’d do; a fantasy life that speaks so much about Finley’s fears; pirates and family secrets, and so much more! It’s a book I wished I had when I was younger.” It’s so frickin’ beautiful. 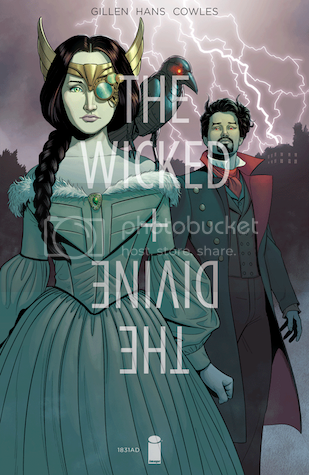 Every single issue of The Wicked + The Divine I read. This comic series always tears my soul apart. Clever retelling of Chaucer’s The Canterbury Tales! Wink Poppy Midnight left me with a lot of conflicting feelings. Did I like it? Did I hate it? Who knows! That’s what made it unique. The Beauty of Endpapers: Yay or Nay? Galentine’s Day: Favorite Female Friendships! Oh god, I don’t know if I can remember it all. All the comic events I went to: Free Comic Book Day (met Kate Leth! ), Marjorie Liu + Sana Takeda, Greg Rucka + Liam Sharp + Nicola Scott, Kevin Wada! Met the amazing Victoria Schwab! Like last year, being inspired to come up with creative new posts. Also, being in a constant slump for the past four months. DID I COMPLETE ANY READING CHALLENGES OR GOALS I SET FOR MYSELF AT THE BEGINNING OF THE YEAR? 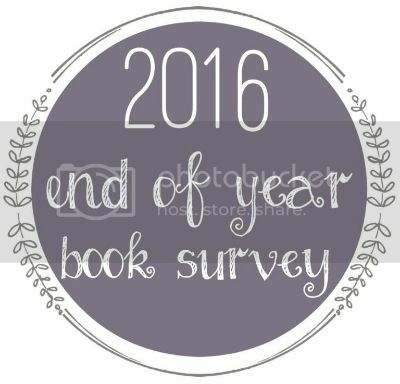 Did you see any books in my survey that is on yours too? I still need to read Jane Steele! 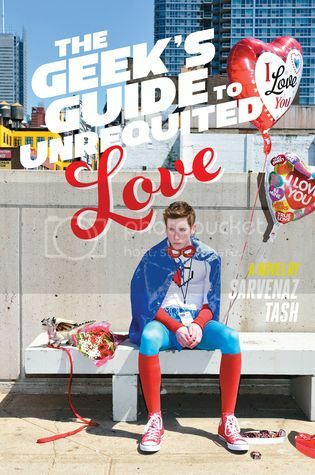 I’ve seen so many positive reviews for that one and I’ve seen it on a ton of favorites lists. Sounds like you had a great reading year! 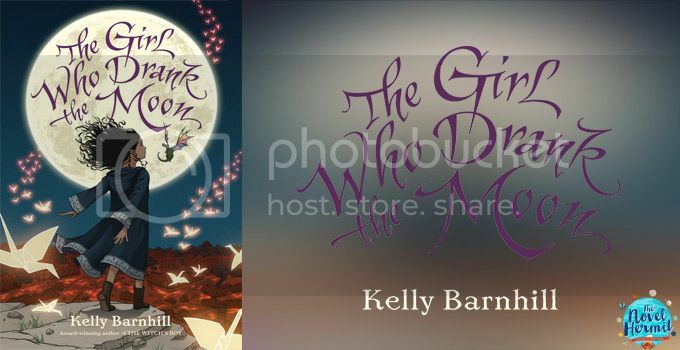 I actually really like The Girl Who Drank the Moon. Fyrian was adorable! I’ve seen The Star Touched Queen on literally on every other blogger’s post, that book is definitely on priority list for 2017! Ahhhhh I did this survey too, and Some Kind of Happiness featured prominently in mine as well! It was honestly one of the best books I’ve ever read. Claire Legrand is just amazing. Also, so, so nice to see a narrative that didn’t demonize the need to seek help or push a narrative of “having fun/making friends/doing other lifestyle change cures depression.” She gets help in the end, with the full support of her family and friends, and that’s such a positive and needed narrative to tell. I’m so keen to read A Darker Shade of Magic! I got it for Christmas and I can’t wait. 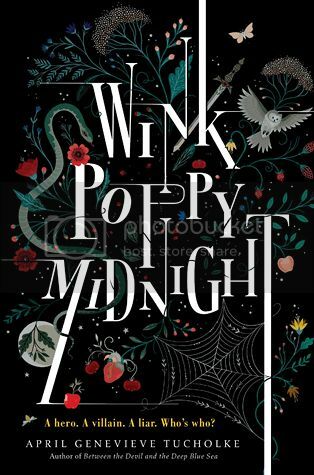 I’ve not read many of the books in this post … but the cover of Wink Poppy Midnight /is/ beautiful! And I’m rather attracted by Romeo and/or Juliet (not that I’d heard of it before) — I’m about to reread the play! Ooh, and I’d so like to read Nevernight! “A city built from the bones of a dead god” sounds incredible!